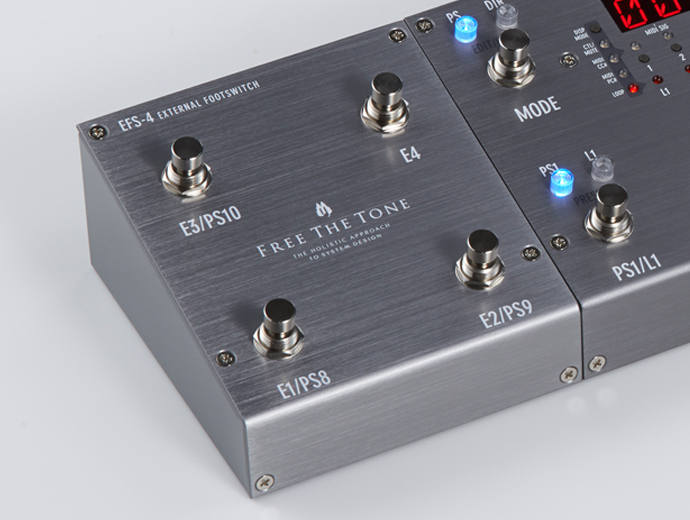 The ARC-3 is the FREE THE TONE’s flagship model completed after improvements in operability and reliability based on practical tests at live venues, rehearsal studios, etc. The ARC-3 has a built-in HTS (Holistic Tonal Solution) Circuit that operates at an internal voltage of ±15 Vdc to preserve the original characteristics of a bass, guitar, effects and amp. It manages everything at the input and output, including the send and return for effects, and the signal line. The ARC-3 provides the sound quality FREE THE TONE has created for professional musicians on request. NOTE: Black version is manufactured to order. FREE THE TONE HTS (Holistic Tonal Solution) circuit installed. The top panel has a 12-degree angle to improve display visibility and footswitch operability. The distance between the foot switches is 71.5 mm (2.81") in the vertical direction and 80 mm (3.15") in the horizontal direction, and custom foot switches are used. These short stroke switches respond quickly in order to follow even fast operation. Link function enables the user to connect two ARC-3s together and control them. Mute function enables MUTE control from an external footswitch. Q：How many MIDI ready effects units can the ARC-3 control? A：The ARC series can send multiple MIDI signals simultaneously. The ARC-3 can independently control up to eight units. Q：I want to use my ARC-3 to control multiple effects units individually via MIDI. But I can’t. Why? A：By default the ARC-3 is shipped with its MIDI Tx Global function turned on and MIDI use is limited to one channel. You can send up to eight channels of MIDI signals by turning off this function by following the steps described below. 1)Following the instructions in the ARC-3 manual page 10, item (2) “MIDI Tx Global”, turn off the MIDI Tx Global function after putting the unit in Edit mode. 2) Exit from Edit mode and put the ARC-3 in Preset mode. 3)「Referring to the manual page 7, item (2) “To control multiple MIDI devices by using eight MIDI channels (CH1–CH8 fixed)”, store a PC# (program change number) in the desired MIDI channel. Q：Is it possible to control a MIDI ready effects unit not included in the ARC-3’s loops? A：Yes. You can individually control up to eight units by connecting them with MIDI cables. Q： I am planning to implement spatial or modulation effects in my system by using my amplifier’s send/return loop. In this case, is it possible to connect the amplifier’s send to the IN-B jack and connect spatial compact effects to Loops 5, 6, and 7? Q：Can I use my ARC-3 linked with an ARC-53M? A：Yes. Although the ARC-53M does not have a link terminal, it supports MIDI. So you can use these two units at the same time by connecting them via MIDI. When connected as above, the ARC-53M can receive a MIDI program change number programmed on the ARC-3 and then recall the specified program on the ARC-53M. So you are controlling the ARC-53M from your ARC-3. NOTE:Since program change numbers range from 1 to 128, the number of the ARC-53M presets that can be recalled from the ARC-3 is limited to 128. The ARC-53M has 200 presets (10 presets x 20 banks) but presets after No. 129 cannot be recalled from the ARC-3. Q：Is it possible to remote control a BOGNER effects unit’s boost and bypass from an ARC unit? A：Yes, although the BOGNER products’ control signal type is different from what is commonly used. The ARC series provides a setting called “Momentary 2”. It is a mode to support BOGNER products. Connect to the C1/C2 jack with a stereo cable and you can control both Boost (C1) and Bypass (C2). 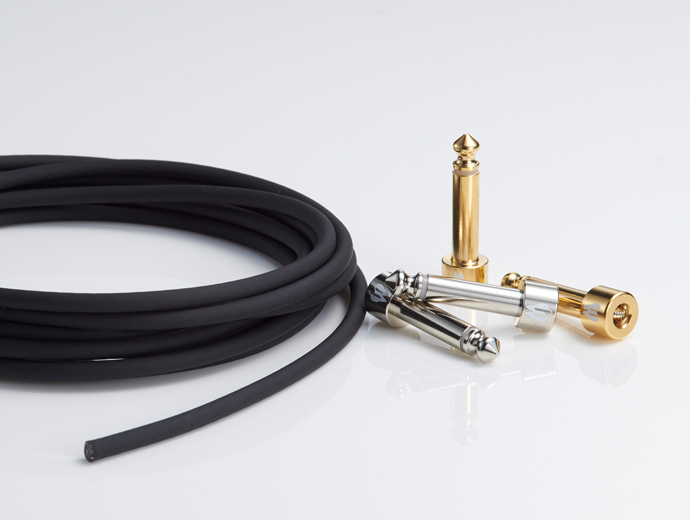 By connecting to the C3 jack with a monaural cable, you can control Boost only. NOTE: For control type setting procedures, please refer to the ARC-3 manual page 11, item (3). Q：Where should I place my volume pedal and the ARC-3 within my system? A： Please refer to the following. 1. To use the volume pedal for turning down the guitar’s volume: Connect the volume pedal in between the guitar and the ARC-3’s HTS-IN. In this case, use a high impedance type volume pedal. 2. 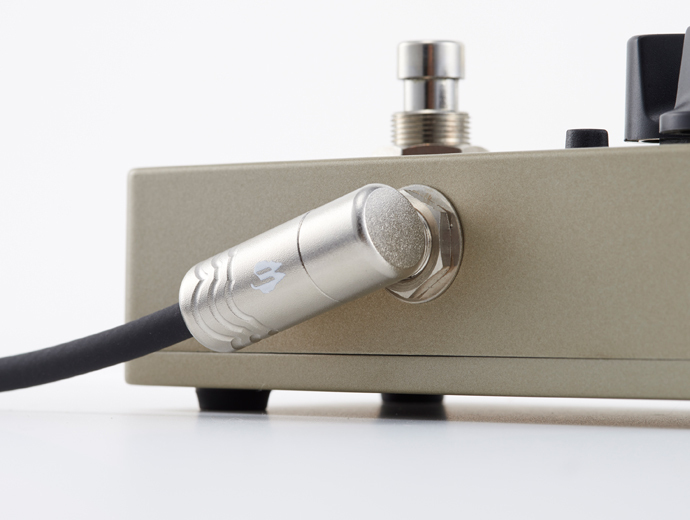 To use the volume pedal as a master volume control: Connect your volume pedal in between the ARC-3 and the amplifier. Use a low impedance type volume pedal. 3. To use the volume pedal as a master volume control (same as 2 above) when it is necessary to maintain delay sound even when the volume is lowered or to change the volume while playing without affecting the delay sound: Connect the volume pedal before the delay pedal. Q：What is your recommended expression pedal for use with the ARC-3? 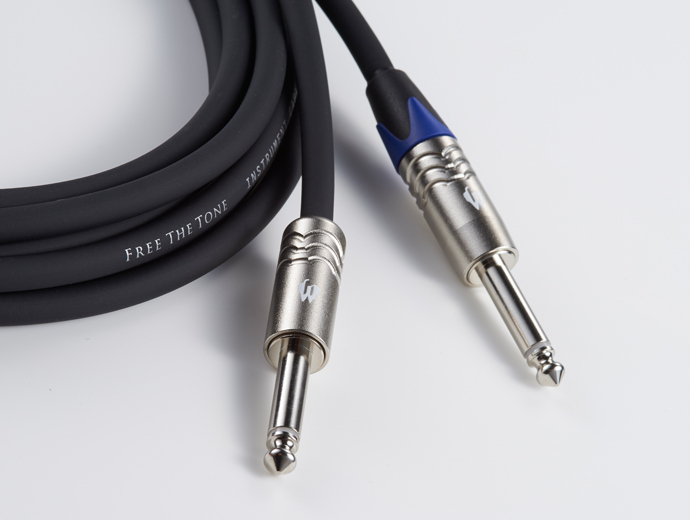 NOTE: A FV-500L can be connected with a stereo cable. Use a stereo Y cable for the two models from ERNIEBALL. Q：When I connect my ARC-3 to a device via MIDI, noise appears but disconnecting MIDI stops it. Why? A： In rare cases noise can be heard when connecting some effects units or amplifiers to an ARC series unit (or switcher in general) via MIDI. This occurs because the MIDI signal circuit in your effects unit (or amplifier) is connected to the signal ground, making a ground loop and therefore noise results. In this case, the cause is in the circuit design of the effects unit (or amplifier) and it is impossible to solve it on the ARC series unit (or switcher in general) side. You may need to make a special MIDI cable with a lifted ground. Q：Must I update the firmware in the order of release to step up the versions? A： No. We create the latest firmware based on its previous version and therefore it contains corrections done in all of the preceding versions. So simply install the latest version.